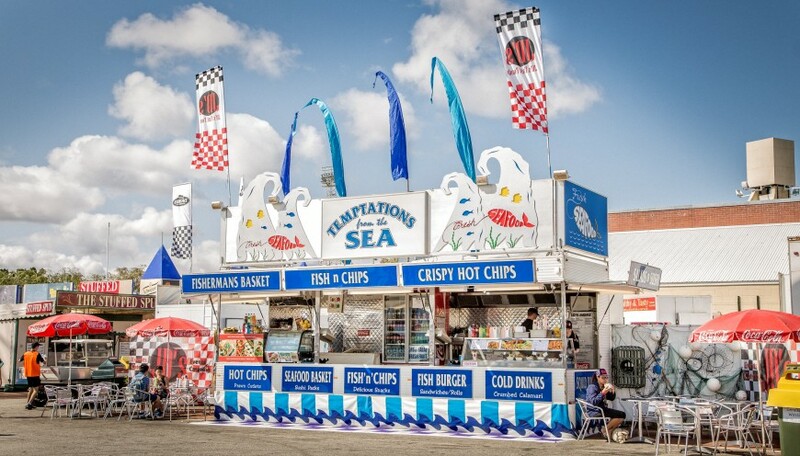 The seafood van received many accolades at this year’s Perth Royal Show for its innovative design and fresh new menu. We provide a varied seafood menu from traditional fish and chips to grilled fish, fish burgers, seafood baskets, sushi, salads, rolls and sandwiches. JD’s Seafood Van can also provide a seating area to accommodate larger crowds.